• SPECIES BELOW ARE CONSIDERED MEDICALLY SIGNIFICANT AND/OR HIGHLY VENOMOUS. 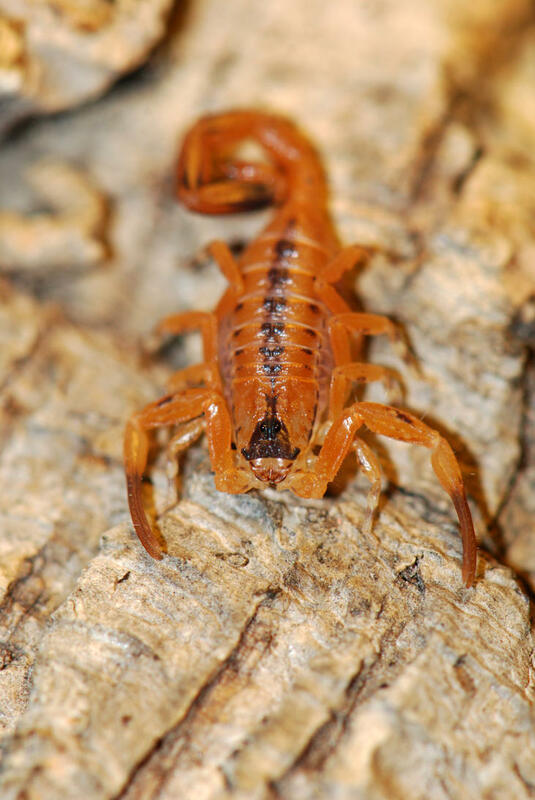 Highly venomous invertebrate species regarded as dangerous possess venom that is sufficiently toxic to humans that a single bite can deliver a medically significant dose. - These species are ONLY for researchers, zoos and professional individuals that are adults and have experience with venomous species. - Many of the species below are difficult and expensive to acquire. Note the minimum order requirements for species not already in-stock. We have to bring in special imports to provide this species to you. - Buyers will be required to be an adult and fill out a venomous liability form (Inquire) and cooperate with any and all of our questions concerning your purchase. • Androctonus australis	"Egyptian Giant Yellow Thicktail"
• Androctonus bicolor	"Sinai Black Desert"
• Androctonus amoreuxi	"Egyptian Pale Yellow Desert"
• Androctonus crassicauda "Arabian Giant Black"
• Babycurus gigas "Giant Red Bark Scorpion"
• Buthacus leptochelys	"Egyptian Greenish-Yellow"
• Buthus occitanus	"Mediterranean Yellow"
• Centruroides sculpturatus "Arizona Bark"
• Hottentotta hottentotta "West African Ground Scorpion"
• Leiurus quinquestriatus	"Death Stalker"
• Leiurus q. hebraeus "Black Death Stalker"
• Leiurus quinquestriatus hebraeus "Israeli Black-top Death Stalker Scorpion"
• Mesobuthus gibbosus "Mediterranean checkered scorpion"
• Parabuthus mossambicensis "Carmel Fat-tailed Scorpion"
• Rhopalurus crassicauda "Black-tailed Rhopalurus"
• Tityus asthenes "Amazon Black Devil"
• Cheiracanthium inclusum "Long-legged Sac Spider"
• Ctenus captiosus "Florida Wandering Spider"
• Ctenus hibernalis "Alabama Wandering Spider"
• Latrodectus bishopi " Red Widow "
• Latrodectus hesperus "Western Black Widow"
• Latrodectus indistinctus "West African Buttton Spider"
• Loxosceles deserta "Desert Recluse"
• Loxosceles reclusa "Brown Recluse"
• Loxosceles rufescens "Mediterranean Recluse"
• Phoneutria nigriventer "Brazilian Wandering Spider"
• Sicarius sp. "Chilean Desert Spider"
• Sicarius terrosus "Chilean Six-eyed Sand Spider"
* Ready to place your order now? Click HERE to order.